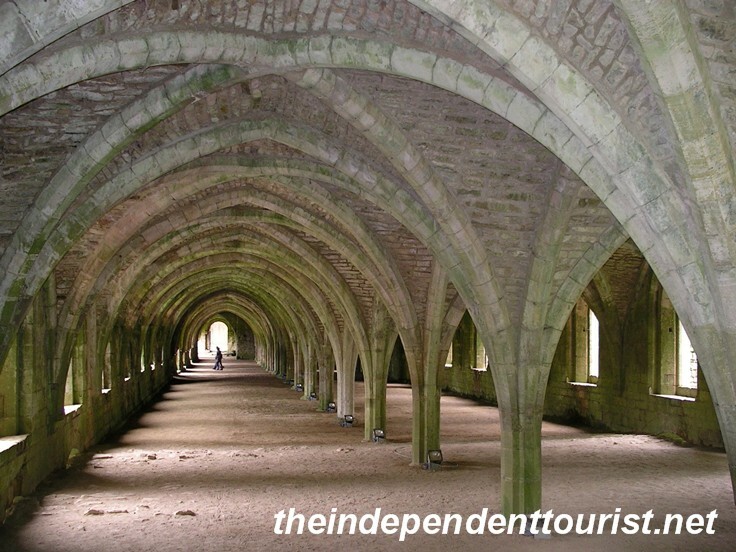 A view of Fountains Abbey. 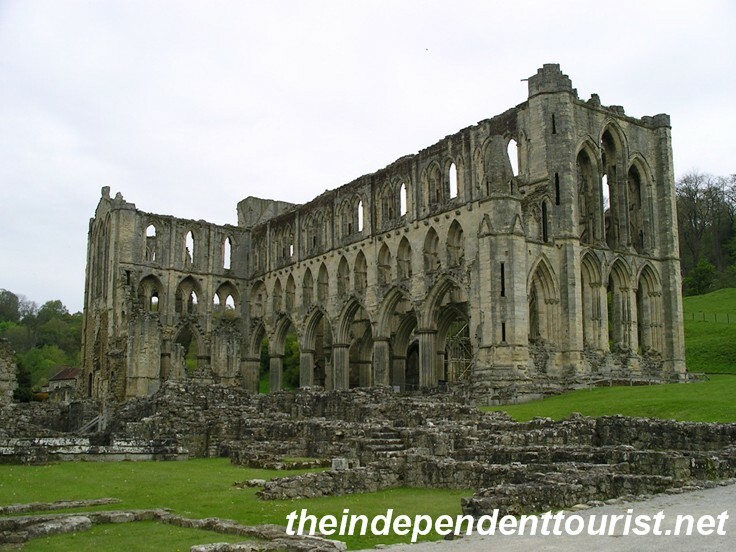 Northwest of the great city of York, England are the medieval abbey ruins of Fountains and Rievaulx. These were Cistercian monasteries, a religious order of the Catholic Church that traces its foundation to St. Bernard of Clairvaux (France) in the 1100’s. 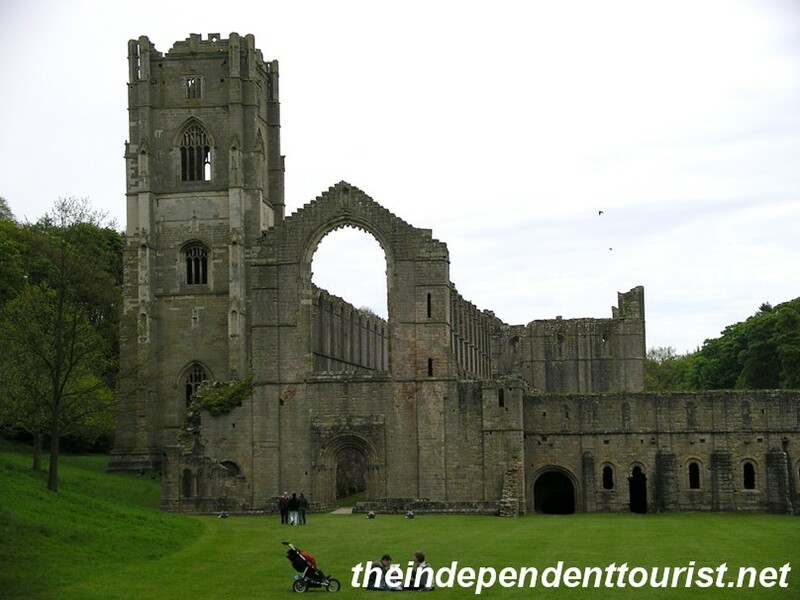 Bernard was a strong charismatic leader and was directly involved in the founding of these abbeys in England. 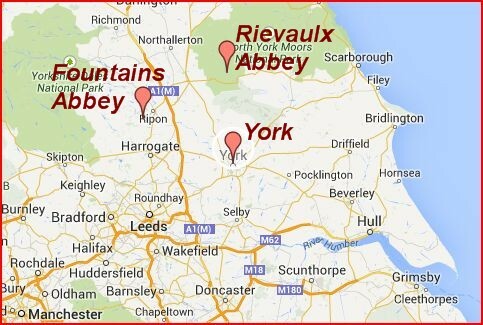 Fountains and Rievaulx are north/northwest of York, England. In order to withdraw themselves from the world, the Cistercian order looked for rural, secluded places to establish themselves and even today these ruins are in remote, quiet valleys with small rivers running nearby. The Order emphasized manual labor and self-sufficiency, which often required enlisting local lay personnel to help with all the work of running a monastery and producing crops and the herds of animals. I love walking through these ruins and wondering what life would have been like a thousand years ago at one of these monasteries. 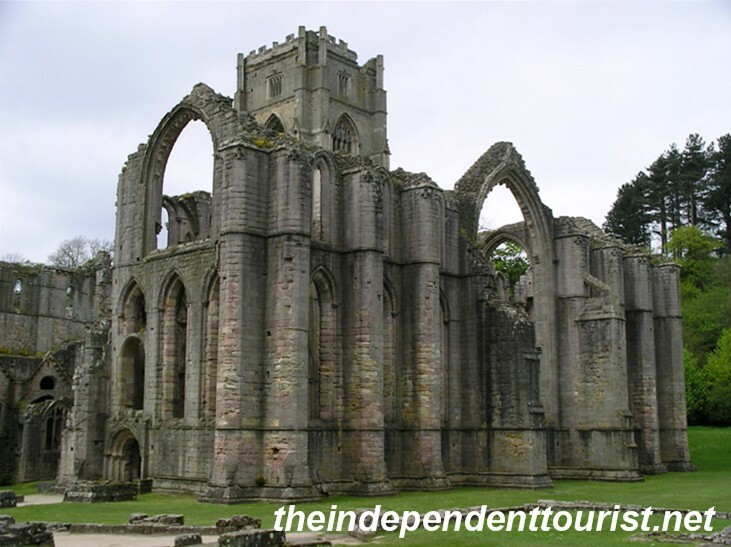 Fountains Abbey was the oldest and richest of the medieval Cistercian monasteries in England, started in about 1132. Its name is taken from six springs that were located here along with the River Skell, all of which provided the monastery with plenty of water. A beautiful old stone bridge over the River Skell at Fountains. 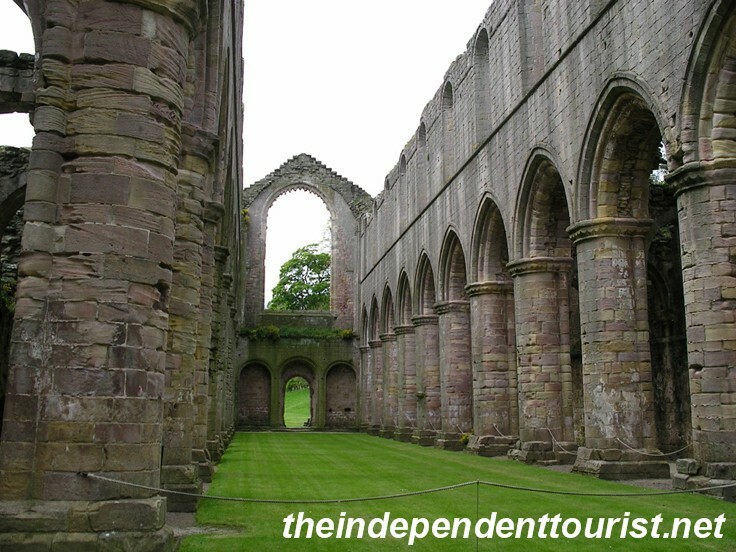 The Cistercian monks were very industrious and the wealth of the abbey was due to great herds of sheep— the wool was sold to traders in Italy and Flanders (Belgium). This is a large abbey with lots of ruins to explore. Fountains is just 31 miles from York. A view of the transcept of the church at Fountains. The main nave of Fountains church. The lay person refectory (dining/dormitory area) and storage area at Fountains. Nearly intact from medieval times. 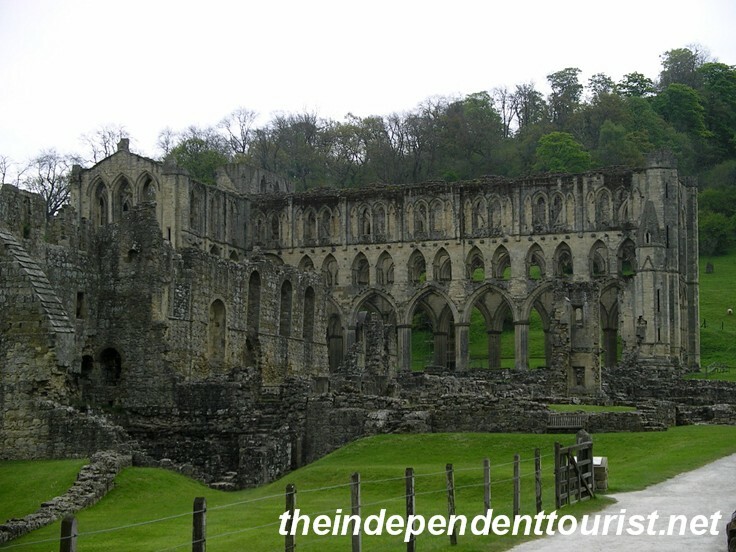 Rievaulx Abbey was also founded in about 1132. It is located 81 miles from York and sits near the River Rye in a very secluded spot. At its peak, it had 140 monks and 150 laypersons but by 1380 there were only 15 monks living here, due to a number of problems affecting the abbey. A view of the main church at Rievaulx. 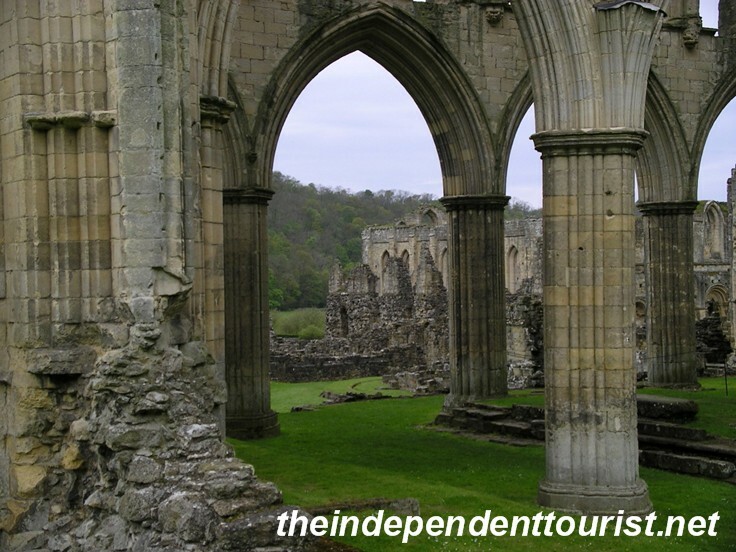 A view through the nave of Rievaulx Abbey. 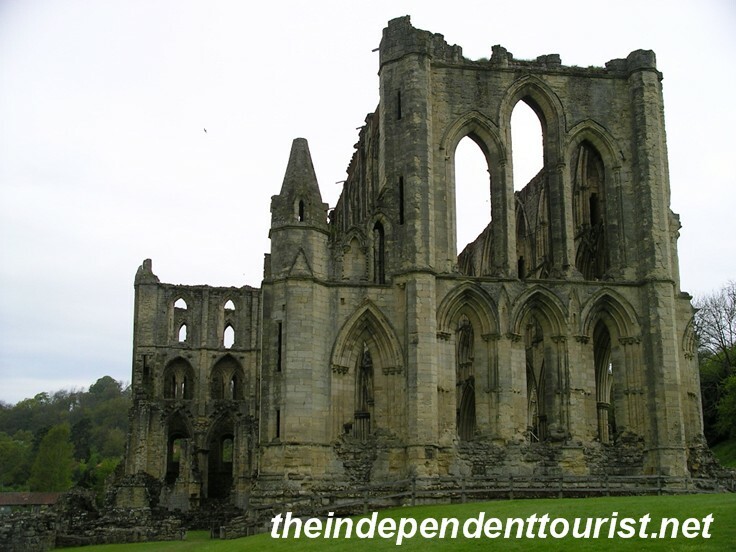 It closed (or better stated, was destroyed) in 1538 as part of King Henry the VIII’s dissolution of the monasteries. Today it is a beautiful ruin. The main walls of the church’s nave and exterior walls of the refectory are well preserved. One more view of Rievaulx Abbey. A view of Rievaulx Abbey (and monk’s refectory to the left). Posted in England and tagged Fountains Abbey, Medieval Monasteries in England, Rievaulx Abbey on March 30, 2014 by Paul Terry.